Grace Selina Williams, 97, of West Columbia, passed away on Monday, January 21, 2019 in Angleton, Texas, because of complications from a recent fall. She was the eighth of nine children born to John and Rachel (Weynandt) Adams on August 22, 1921, in Ganado, Texas. 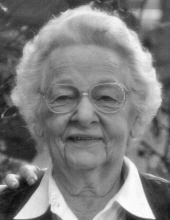 Her values and character were shaped by the hard work required of everyone on the family's rice farm, the scarcity of the Great Depression and the sacrifice of World War II. After graduating from Alvin High School in 1939 and business school in Houston, she worked at Camp Hulen in Palacios, a source of many fond memories. Selina married Ed Williams on March 13, 1948. Between Ed and Selina they had nineteen siblings and over fifty nieces and nephews. Their two children, Jo Ann and John, grew up thinking everyone had enormous family reunions and large family gatherings during holidays. Selina and Ed loved the people of West Columbia and were loved in return. Selina supported Ed’s leadership on the City Council and School Board as well as his insurance business. They were active in and supportive of youth activities throughout their lives. Selina had an instinct for encouraging children, and many kids thought of her as a second mom. She was also active in the Columbia Methodist Church, American Legion Lady’s Auxiliary, the Study Club, Columbia Historic Museum, Skip Bo club and a wide variety of community activities. All of Selina’s character and courage were required when she had a devastating car accident in 1976. She gave a great deal of credit to Dr. Red Duke, who headed the surgical team that put her back together, but we all know that it took feisty, strong-willed, pint-sized dynamo Selina to accomplish a complete and successful recovery. In her stories about her recovery from that accident, she was always quick to point out the love and support she received from her family, friends and community. Selina is preceded in death by her husband, her parents, and her siblings. She is survived by Jo Ann of West Columbia; John and his wife Jo, of Llano; along with Ronnie and Vickie Sassin of West Columbia; and a host of nieces and nephews, and extended family. The family would like to thank Guy Paul for his love and support. Visitation will be held Thursday, January 24, 2019 from 5:00 pm until 7:00 pm at Baker Funeral Home in West Columbia and the funeral will be held 10:00 am Friday, January 25, 2019 at Columbia United Methodist Church. Burial will follow at Cedar Lawn Haven of Rest Cemetery. In lieu of flowers, the family asks that you honor her memory by contributing to Columbia United Methodist Church, 315 16th Street West Columbia, Texas 77486, or Columbia Christian Senior Citizens Center, 629 E. Bernard Street West Columbia, Texas 77486. Selina would also encourage you to give your time and talent to the community. To plant a tree in memory of Grace Selina Williams, please visit our Tribute Store. "Email Address" would like to share the life celebration of Grace Selina Williams. Click on the "link" to go to share a favorite memory or leave a condolence message for the family.